This is one of the problematic .DOF files out there, because it contains flaws that prevent my loader from loading it correctly. Ruud van Gaal told me that this is a problem with some old files. 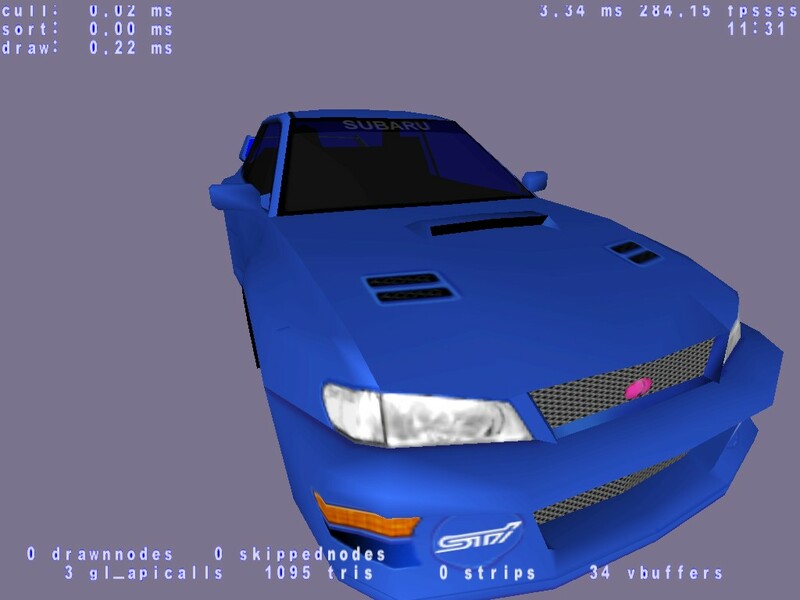 If you encounter such a model (strange printouts in the console), just load it into Racers´s Modeler and export it to .DOF. The cars should now be loaded correctly. Note that this screenshot was post-processed, I changed the blue background into this greyish tone, so the car is better visible.